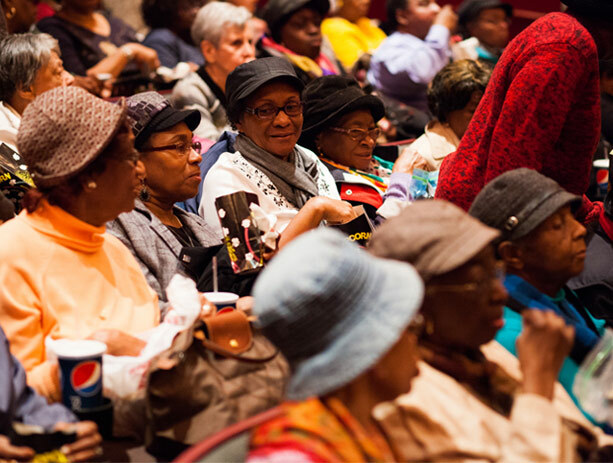 BAM has several initiatives to make our programs accessible to senior audience members. BAM values our senior audience members and their many contributions to our artistic community. Through dedicated senior programs and discounts, we work to make our campus and the adventurous art we present as welcoming and accessible as possible. In this monthly repertory film series at BAM Rose Cinemas, Senior Cinema offers free admission to moviegoers 65 years and older, with complimentary popcorn and soda. 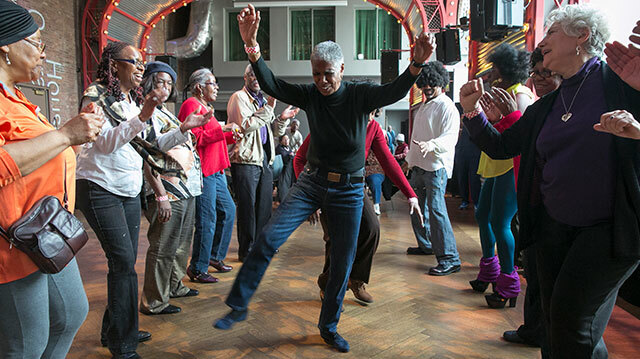 Celebrate spring with this series of free workshops and dance parties for art-loving seniors. 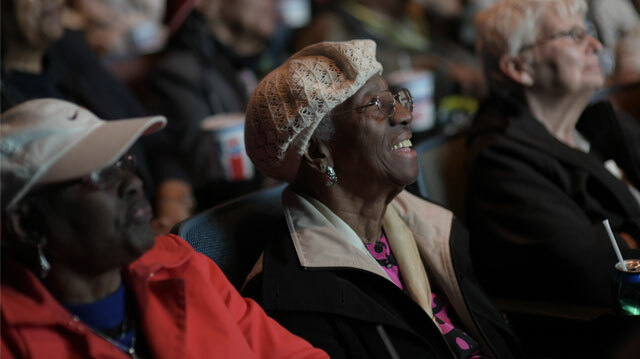 Organizations that serve seniors can apply for a chartered bus or van to ensure that a lack of transportation is not an obstacle to attending Senior Cinema screenings. Subject to availability. Audience members aged 65 and older have access to discounted tickets, subject to availability. Enjoy first-run and repertory movies at BAM Rose Cinemas, as well as theater, dance, music, and opera performances on our main stages, for just $10 ($13 for 3D films). For live events, visit the box office with a valid photo ID starting 90 minutes before any performance. For shows with limited availability, a standby line will form at the discretion of theater management. At just $65, seniors enjoy all the benefits of a BAM Membership at a discounted price.